And the Pyramids, Museum, Market, Sakkara and more..
Our two day Cairo tour from Eilat is a great way to see many sites in a short amount of time. Cairo is the home to some of the most famous pyramids in the world. The pyramids in Cairo are an astounding site to see. They were built to house the dead Pharaohs, and their nobels. You will tour the Egyptian Museum with its vast collection of ancient artifacts. The museum holds over 160,000 paintings, sculptures, ancient coins, mummies, and crypts. Visit includes the famous Pyramids of Giza, the Egyptian Museum, the Papyrus Institute, the Sphinx and the Khan el Khalil Bazaar. You will also see the Sakkara, the Mohammed Ali Castle and get a feel for the culture of the bustling city of Cairo. While visiting these sites, enjoy an authentic Egyptian lunch at a local restaurant where you will be exposed to the flavors of Egyptian cuisine. 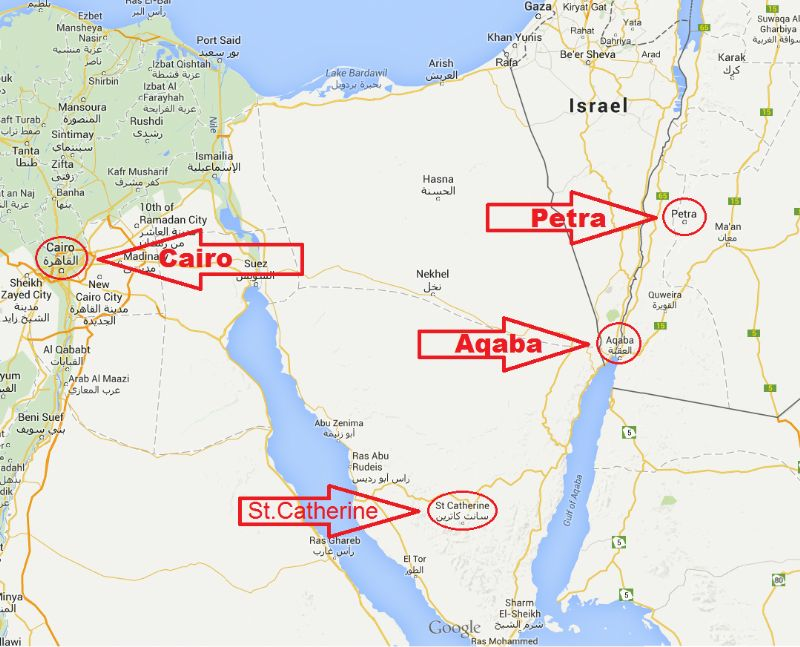 This two day Cairo tour also visits the Suez Canal, the River Nile and includes a beautiful drive through the Sinai Desert. With options for starting and ending from Eilat or Tel Aviv, our two day Cairo tour is a great choice to explore the many sites of Cairo. Pickup from your accomodation in Eilat, and drive towards south along the of the Red Sea, for Taba Border Crossing. Travel through the stunning landscape of the Sinai Dessert along the way to the Suez Canal to the Egyptian capital of Cairo. Arrive at mega-city Cairo as the sun rises. Treasures the archaeology by visiting the Egyptian Museum which is the home of one of the world’s greatest archaeological sites. 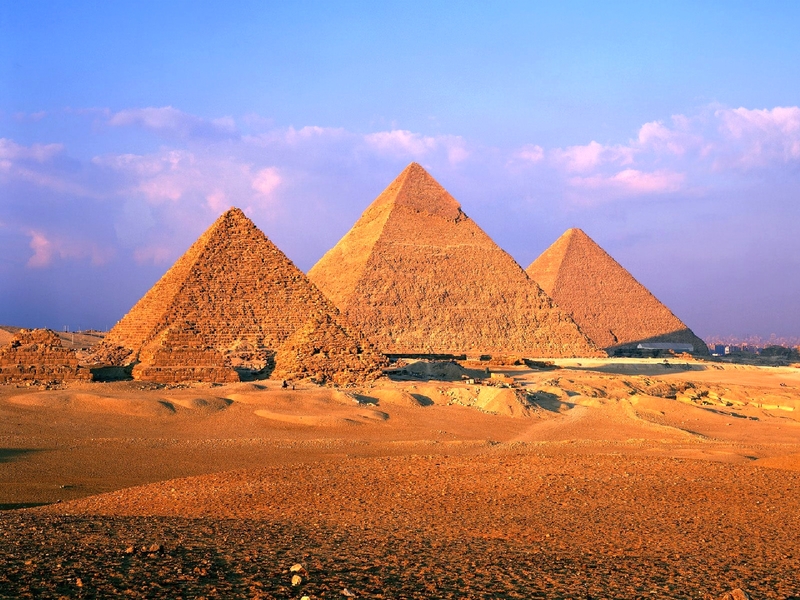 Visit the world-famous Pyramids of Cheops, Chephren, and Mykerinus, one of the Seven Wonders of the World. 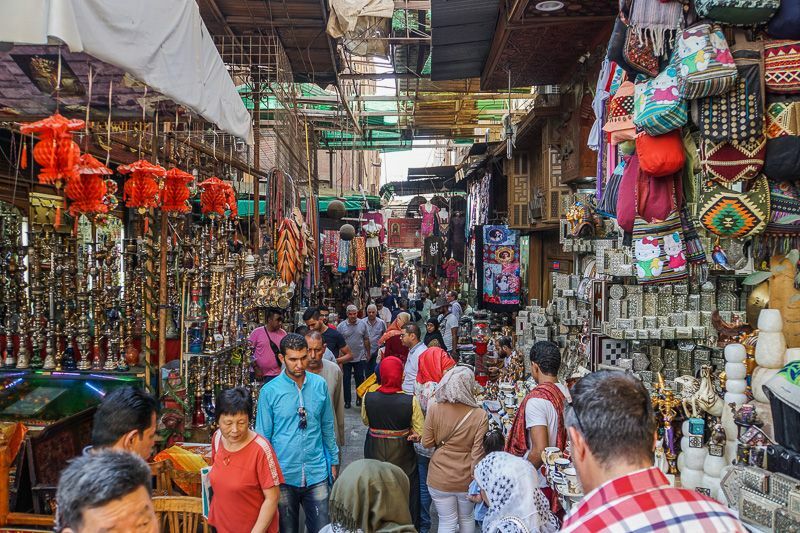 Take a stroll through the impressive Cairo’s old bazaar, Khan El Khalili Bazaar, the magnificent market (souk). After breakfast, we will visit Sakkara an ancient burial site near Cairo which was the tomb city of Memphis - the Capital of ancient Egypt. 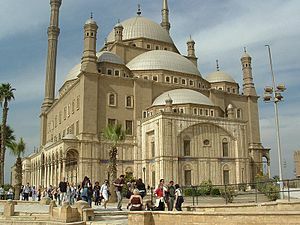 We continue then to Mohammed Ali Castle - one of the most frequently visited mosques in ALL Egypt. 03:00-04:00 Arrival at the border and return to Israeli territory. 04:30 The tour ends, Thank you from Fun-Time . * Additional $25 for a single room.